The list of references grows daily. The ones I used for a presentation for 200 delegates in Amman Jordan in February 2015 ran to several pages, which you can download as a pdf available here. The Institution of Civil Engineers has a growing number of resources including webinars and events, links to some of which are below. Please note that for full access to some of these you will need to be logged in as a member or associate of the institution. The Institution of Civil Engeers BIM Heat Map annual survey is here: http://svy.mk/1LxBO1i It is relevant to the whole supply chain if an overall picture is to be obtained. You can begin by establishing the benefits for you, for your company, for your clients. What can you do to engage with an approach that is destined to be business as usual for property and construction, and will save everyone time and money through unnecessary and avoidable conflict, poor data management, and weak relationship management? Organisations increasingly recognise the need to embrace collaboration, jointly bringing about long term cost reductions for managing and maintaining the whole of the built environment - buildings, roads, railways, ports, utilities. Some 30% or more of the cost of sunning many organisations is in facilities and asset management. Embrace BIM to reduce the costs, improve safety, and improve the environment. 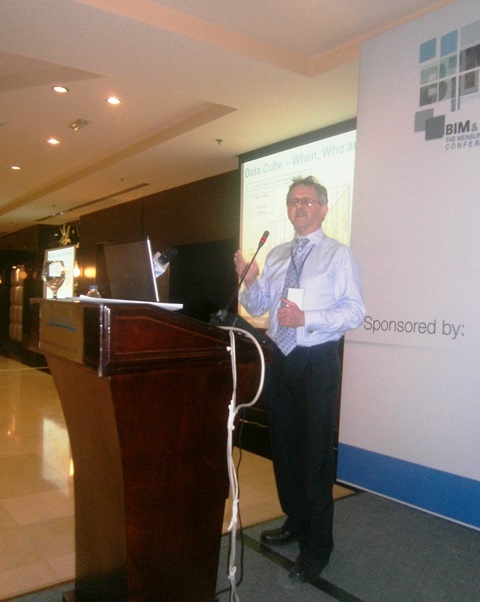 Please contact me for a preliminary discussion on BIM and its benefits.